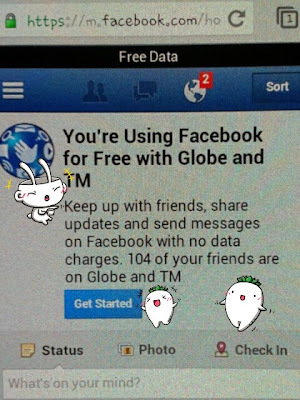 When Globe first notified its subscribers about their collaboration with Facebook to provide free access to the said social networking site, I was browsing using wi-fi so I didn't bother reading nor checking their notification. I just hit the "No Thanks" button without even blinking. I thought the notification won't go away and that I could always get back to it whenever I want (or have time to) but I was so wrong! It magically disappeared and I had no luck in activating the free facebook offer no matter how hard I tried to. #lols. 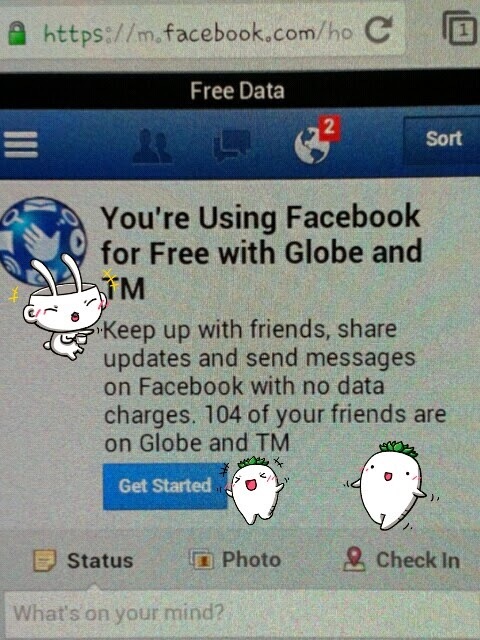 Fortunately, just a few days ago, I suddenly remembered Globe's *143#! It is a magical place where unicorns fly over rainbows. Okay, I'm kidding. haha. I had thoughts that Globe might put the offer in there so I dialed those numbers and look what I found! 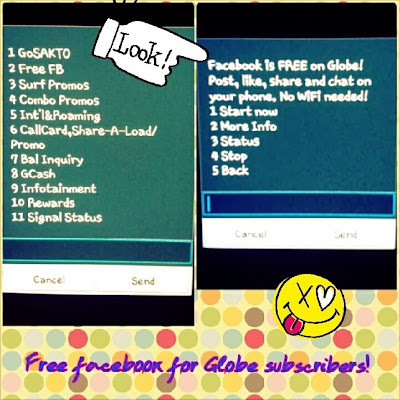 Free Facebook for Globe Subscribers! Start accessing Facebook for free! Click on http://m.facebook.com/free or go to the site using your browser. Enjoy Free FB until __________. Please note that this promo is NOT available on Blackberry, Opera Mini and Nokia Express browsers. For more info, text FREE FB HELP to 8888. The promo is open for an initial period of three months and you will be notified about data charges in case you will browse outside facebook. What are you waiting for? Enjoy posting status updates, photos, comments and more for free! :) If you have questions, just drop them in the comment box below and I'd be happy to answer them for yah!